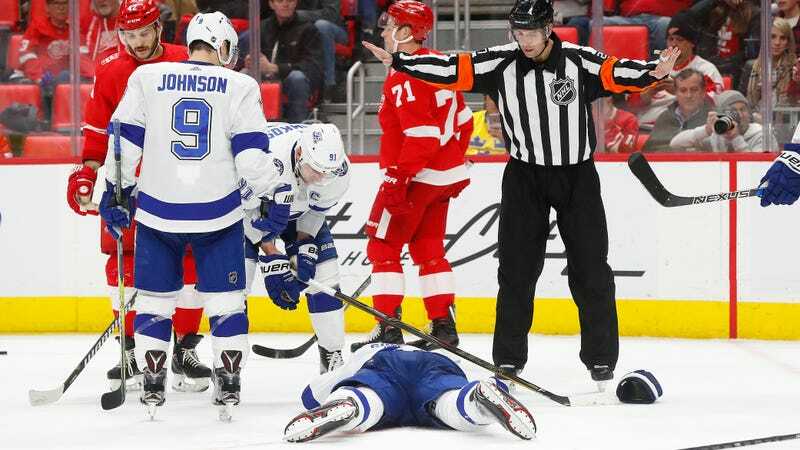 Tampa Bay Lightning defenseman Dan Girardi suffered a brutal injury in the second period of the team’s 5-2 win against the Red Wings Sunday night. 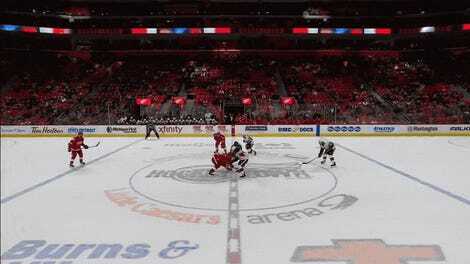 As Detroit’s Martin Frk fired a one-timer from the faceoff circle, Girardi went down on one knee to try and block it from close range. Frk’s shot hit Girardi right in the side of the face, and he immediately crumpled to the ice. Trainers from both teams went out to help him. Girardi sat up and skated off to applause while being escorted by two of his teammates. He didn’t return to the game, and he’ll be evaluated back in Tampa, but according to teammates Girardi seemed himself and was joking around between periods. This could have been so much worse.